Located in Eureka Springs, Econo Lodge is within a 5-minute drive of Eureka Springs Historical Museum and Eureka Springs District Court. 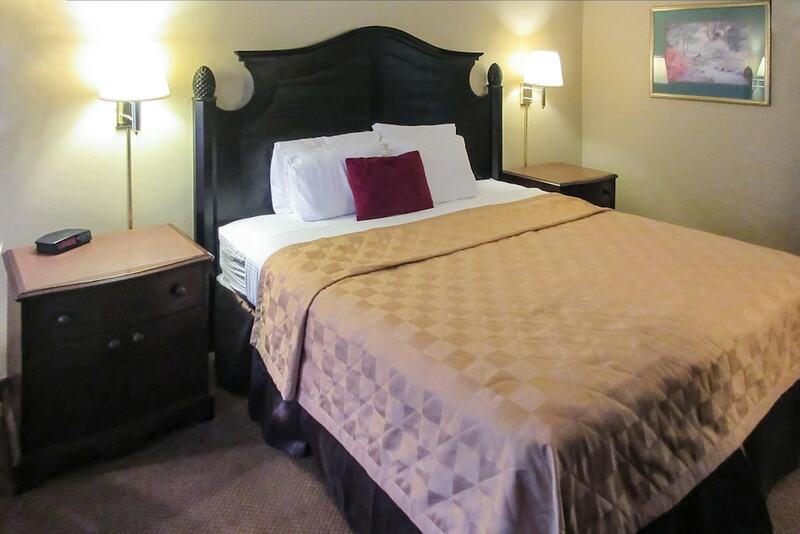 This hotel is 1.4 mi (2.2 km) from Eureka Springs City Auditorium and 1.7 mi (2.8 km) from Intrigue Theater. Make yourself at home in one of the 47 air-conditioned guestrooms. Complimentary wireless Internet access keeps you connected, and cable programming is available for your entertainment. Bathrooms have bathtubs or showers and hair dryers. Conveniences include desks and coffee/tea makers, and housekeeping is provided daily. Enjoy recreational amenities such as a spa tub and a seasonal outdoor pool. Additional amenities at this hotel include complimentary wireless Internet access, gift shops/newsstands, and wedding services.